The MM Top 5 series returns after a two month break, and kicking off as we mean to go on, this edition looks at the top 5 Movie Plane Crashes. Starting from this week, there will be a new layout to the series with each nominee being separated into categories to describe the film, why it has placed in its respective position and other features depending on the topic. Plus, check out our new hyperlinks, clicking on the name of the nominee will take you to an outsourced page to give you even more information on each item for a truly interactive experience. Enjoy! Oh, and please be aware, there will be spoilers! 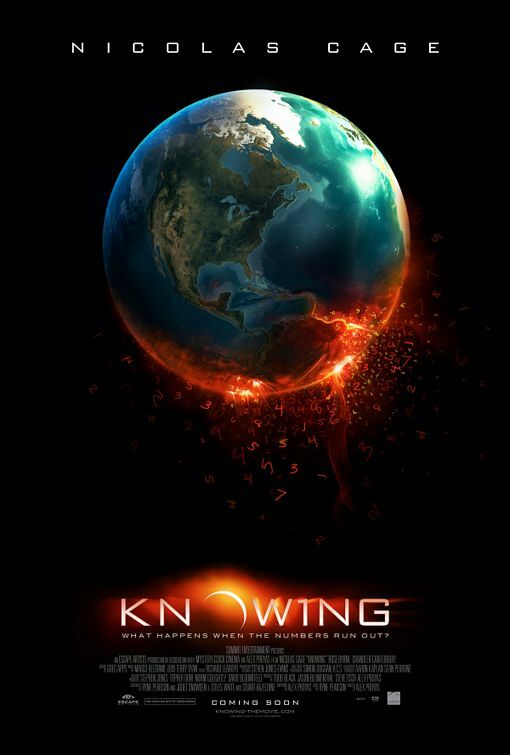 The Film: Knowing was released in the spring of 2009 to a mixed reception by critics and fans of lead actor Nicolas Cage. However, its lukewarm response was overshadowed by some impressive box office takings, over $180m worldwide on a relatively modest budget of just $50m. Cage starred as Jonathan Koestler, a widowed, single father of one living in the sparse town of Lexington, Massachusetts who notices some strange patterns in the numbers found in a time capsule dug up by his son at school. As time goes on, Koestler notices that these digits foreshadow certain disasters, past and present. The Scene: Stuck in traffic, Cage gets out of his vehicle to talk to a police officer, who suddenly turns and runs away. After looking behind him, Cage’s character sees a large jetliner as it slams through a set of power lines and cars as it explodes at the side of the road. If that wasn’t terrifying enough, the sight of people running engulfed in flames is enough to make some people turn away from the screen. It is a truly terrifying sequence and one which serves as the highlight of a much understated but ultimately average Nic Cage action adventure. Sorry Nicolas, but 5th is where you place in this edition. 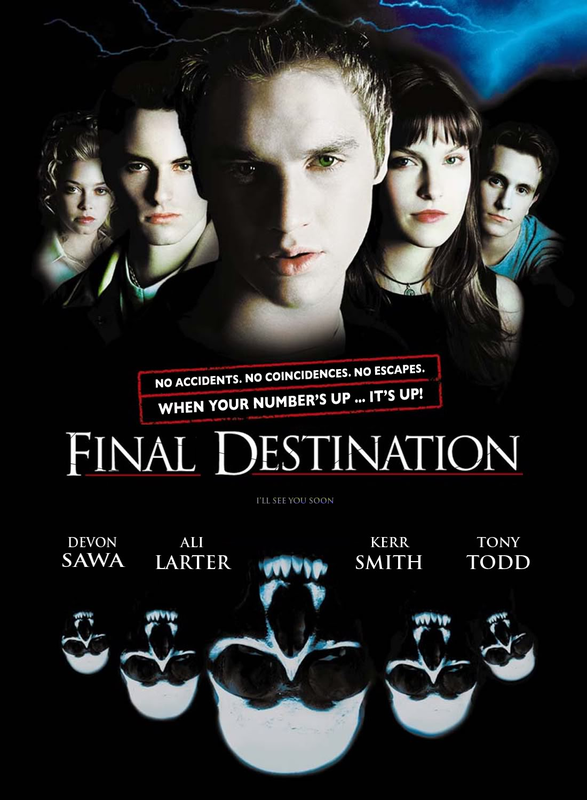 The Film: Final Destination is a rare thing, a horror film which manages to do everything right. Creating a new premise which had never been done before, it revitalised a seriously flagging genre and captivated blood lovers across the globe. Its success has been truly unbelievable, with 4 sequels and a rumoured 5th on the way, the series has grown from strength to strength, as long as you forget the 4th instalment that is. The first film, released in 2000 was ridiculous fun. Its cringe worthy dialogue and vomit inducing death scenes perfectly captured 21st Century horror. Starring Devon Sawa and Ali Larter, it followed a group of high-school students and their teachers after they survived a horrific plane crash, but one-by-one, death picked them off and sent them on their way in a series of ludicrous scenes not afraid of using the blood effects. The Scene: A turbulent take-off leaves passengers on board flight 180 with white knuckles, but sighs of relief are heard all around when things start to even out again, but it doesn’t last long. Suddenly, the plane shakes violently, with cabin lights constantly flickering on and off. As oxygen masks descend into the cabin, a severe explosion tears through the aircraft, causing the seats to break free from their mounting, which sends them into the night sky. Finally, the camera switches back to the airport where horrified passengers see the plane explode, with the resulting shockwave shattering the windows. This was a brilliantly choreographed scene which still serves as one of the series’ highlights. The Film: Con Air remains one of the finest action films ever released in cinemas and has a cult following with many throughout the world. It was released as a summer blockbuster which had to compete with the likes of The Lost World: Jurassic Park and Titanic, it performed moderately well at the global box office, earning over $220m on a budget of $75m. 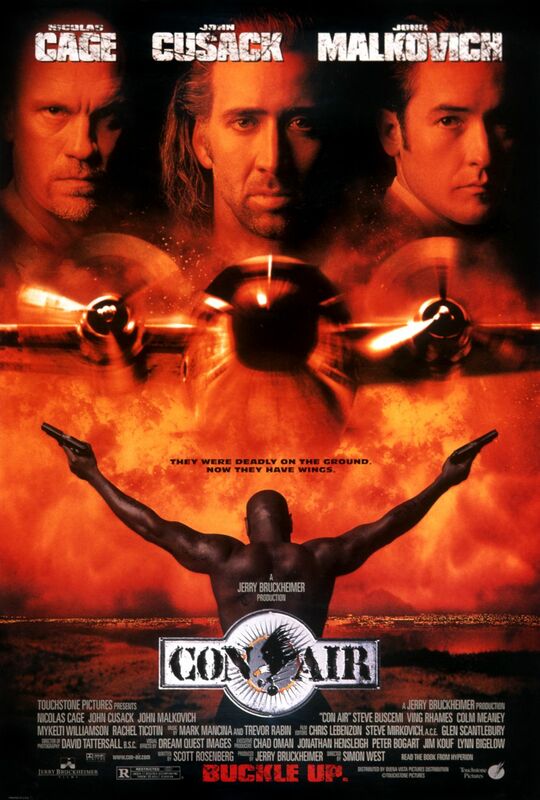 Starring Nicolas Cage, John Malkovich and John Cusack as well as a host of other big Hollywood names, Con Air followed the story of some of America’s most dangerous criminals and parolee Cameron Poe (Cage) as they travelled to a new maximum security facility. However, things don’t run to plan as the criminals hijack the plane, sending the viewer on a terrifying journey to see whether Poe will get his parole at all! The Scene: Trigger-happy Agent Malloy, played by Colm Meaney, is in pursuit of the hijacked plane in an Apache helicopter. Arming the aircraft, Malloy looks for a target lock when Nicolas Cage’s character radios through to say that he’s taken control of the plane. Malloy stops his attack but it’s too little, too late, after firing at it numerous times, the plane is heading for the ground. As the jet approaches Las Vegas, the pilot informs Cage that the plane simply will not make it to the airport, and they’ll have to emergency land on the strip. Exciting! The plane passes over the crowded streets of Las Vegas, clipping the Hard Rock Casino’s giant guitar logo before colliding with the ground as well as several different vehicles, trees and street signs. It’s all rendered in truly terrible CGI, but is an amazing scene to watch nonetheless. After a bit of a bump, a flash and a sparkle, the aircraft comes to rest, with notably less in the way of wings, tail and fuselage than it started with all those hours ago. It’s an exciting sequence that allows the viewer to truly escape into the film, but the shoddy CGI stops it from clinching the silver medal in this MM Top 5. 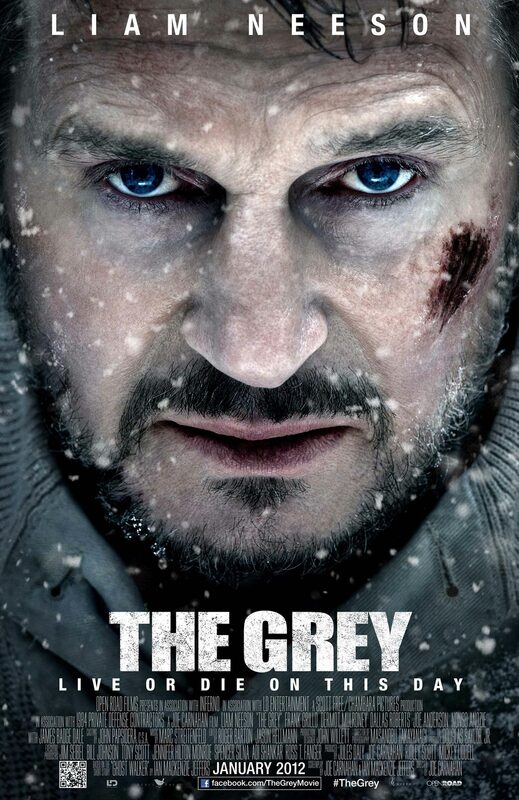 The Film: It is possible that The Grey is perhaps the most understated film of 2011. Starring Liam Neeson as the central character, the film grossed less than $100m at the worldwide box office yet remains one of the finest thriller creature features ever released. Director Joe Carnahan utilises some breath-taking scenery to great effect and the story is as deep as you would want it to be for the genre. Neeson plays deeply troubled John Ottway, a sharpshooter working in the Alaskan wilderness, protecting a team of workers who are hunting for oil. On the last day of work before the holiday season, the plane which carries the team to civilisation crashes, stranding them in a deadly game of cat and mouse with a pack of wolves. For an in depth review of The Grey, Click Here. The Scene: In a scene which for me clinched it as the best movie plane crash ever until the winner below stole the crown, Liam Neeson’s character John Ottway is relaxing on his journey back to civilisation when all of a sudden, an explosion rips through the cabin knocking some passengers out and causing others to freeze in panic. This part of the sequence is exceptionally tense and makes the audience feel incredibly claustrophobic as the plane tears through the sky, wind and snow rushing past the people on board. Once on the ground, the surviving members of the team realise they have landed in the middle of the Alaskan wilderness. Ottway knows this isn’t good and sure enough, each of them is picked off by a pack of hungry grey wolves, leaving only a couple of members hiking to safety. The entire film is an absolute rollercoaster ride of tension and relentless claustrophobia, but the plane crash sequence is truly horrifying and fully deserves the silver medal in this fortnight’s list. The Film: World War Z was a film plagued by production problems, constant reshoots, recasting and soundtrack issues, so even making it to the cinema was an achievement for director Marc Forster. What is an even greater achievement however is at how damn good this film is. 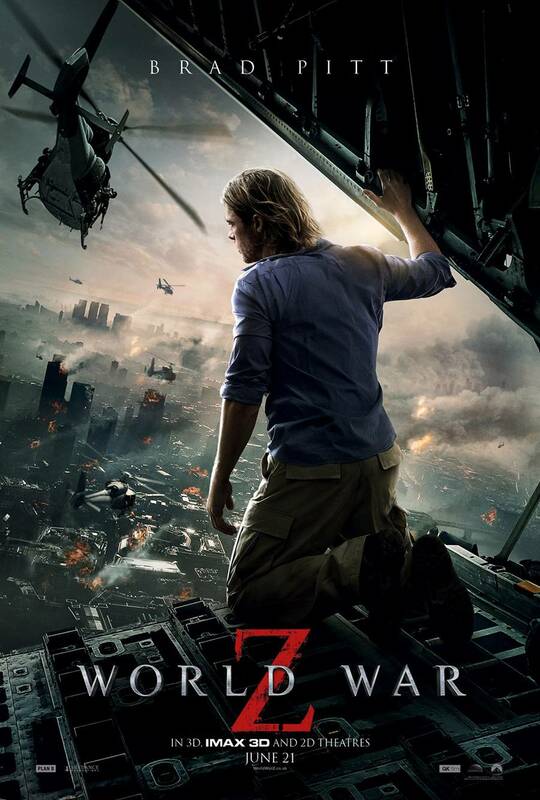 With Brad Pitt at the helm and a supporting cast which includes Peter Capaldi (the new Dr Who), World War Z has cemented its place as one of the best films of 2013. Predicted to be a worldwide flop at the box office, it actually did rather well, grossing over $530m on a budget just shy of $200m. Pitt stars as Gerry Lane, an ex UN advisor now living as a full-time parent in Philadelphia. After an unnamed virus takes over billions of people across the globe, turning them into blood thirsty zombies, Pitt is thrown back into the ring to try and find out just what was the source of the epidemic. For an in depth review of World War Z, Click Here. The Scene: As Lane and his injured soldier partner Segen board a flight to leave the hordes of zombies attacking Jerusalem, they relax and finally think their ordeal is over. How wrong they are! A stowaway zombie boards the plane and begins infecting members of the crew and some unlucky passengers. Realising there is no way out of the predicament they are in, Pitt’s character throws a grenade, which then explodes, blasting a huge hole in the side of the plane. As zombies and remaining passengers are sucked out of the disintegrating aircraft, Pitt and his partner strap themselves in and brace for the emergency landing. Utilising the rolling Welsh hills as a backdrop, the plane comes into land in excruciatingly impressive fashion, colliding with coniferous trees and breaking up into several pieces. It is one of the finest films of 2013 and its plane crash will no doubt go down in history as one of the most tense, electrifying pieces of aviation disaster cinema ever. A fully deserved gold medal in this MM Top 5. Which do you think was best, or perhaps none of those float your boat? Vote in our fortnightly poll and share your views in the comments section below. Thanks for reading! Thanks Fiona, it was two months in the planning, but I agree, it’s paid off well. Take a look at the video clips and let me know which film you think you’d like to watch! Got to be Final Destination, it gets me every time and I have watched that film many, many times!! Have you seen the other clips in the list Beckie? Check out the plane crash in The Grey for sheer terror!